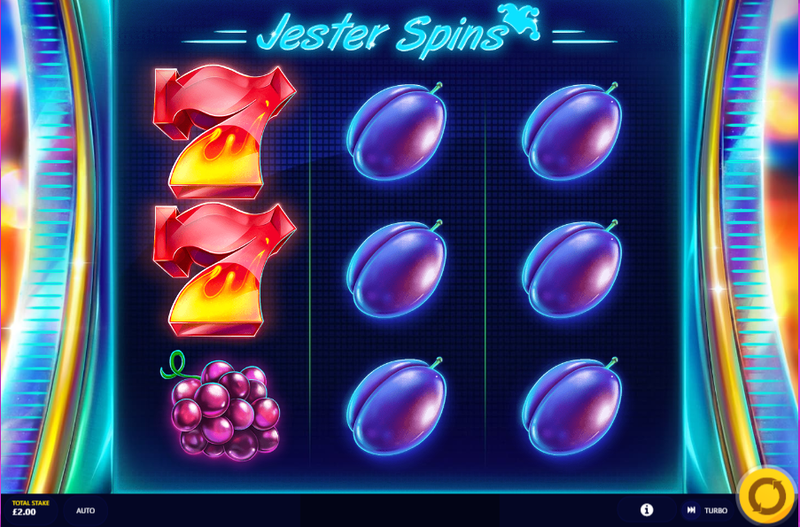 Jester Spins is a modern take on a traditional fruit machine game. With impressive graphics, an electronic soundtrack, and edgy fonts, the slot game embraces the new, whilst maintaining the classic elements of a fruit machine. Match symbols to spark huge multipliers in this fun and engaging contemporary slot machine and try your luck to trigger amazing bonus features! You're in the right place on where to play online slots and for more fun games! Jester Spins has been cleverly created by popular game developers, Red Tiger, available here at Wizard. Founded in 2014, Red Tiger is passionate about all things casino, and has a vast range of immersive and engaging online slot machine games on their portfolio, as well as several new ones in the pipeline. Red Tiger credits its success to its varied team of experts who all share a love of creating high-quality games. Combining creativity, maths, and technological vision, the company describes the designing process ‘the science of fun’! The game opens with a pink and green jester hat bursting onto the screen, accompanied by a soundtrack of electronic, upbeat music. This is an introduction to the amazing futuristic world of Jester Spins, complete with glowing neon blue signage and impressive sound effects. Test your luck with the best new online slots such as this one! 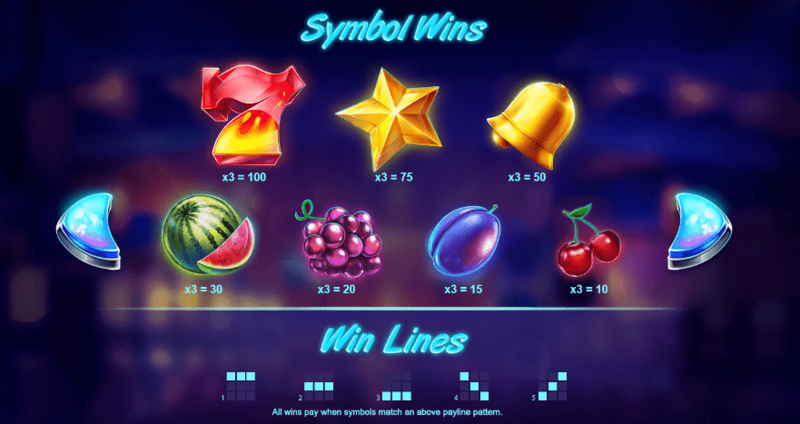 Press the sparkling play button to launch the slot machine to life, buzzing with activity as it loads to reveal traditional fruit symbols on a computer screen. A hazy backdrop sets the scene: a very modern casino. Play this dazzling classic slot machine for a chance of 500x wins. This three-reel fruit machine offers the opportunity to unlock a bonus round which awards ten free spins. Win by matching three symbols in one of the slot’s five reels, with prizes varying depending on the symbol-matched. Look out for the melon symbols, which are worth the most and award x25 your bet. With a focus on visuals, this game provides a pleasing graphic experience, combined with a clear and usable traditional format. This latest creation from Red Tiger boasts an impressive modern concept, whilst focusing on clarity and usability. It’s simple, three reel format leads to multiple matching opportunities, as well as the chance to trigger bonuses. The real triumph is the impressive artwork, catchy soundtrack, and futuristic ambience of the game. Take a journey into the future of gaming with Jester Spins! If you enjoyed Jester Spins, why not try The Great Albini?